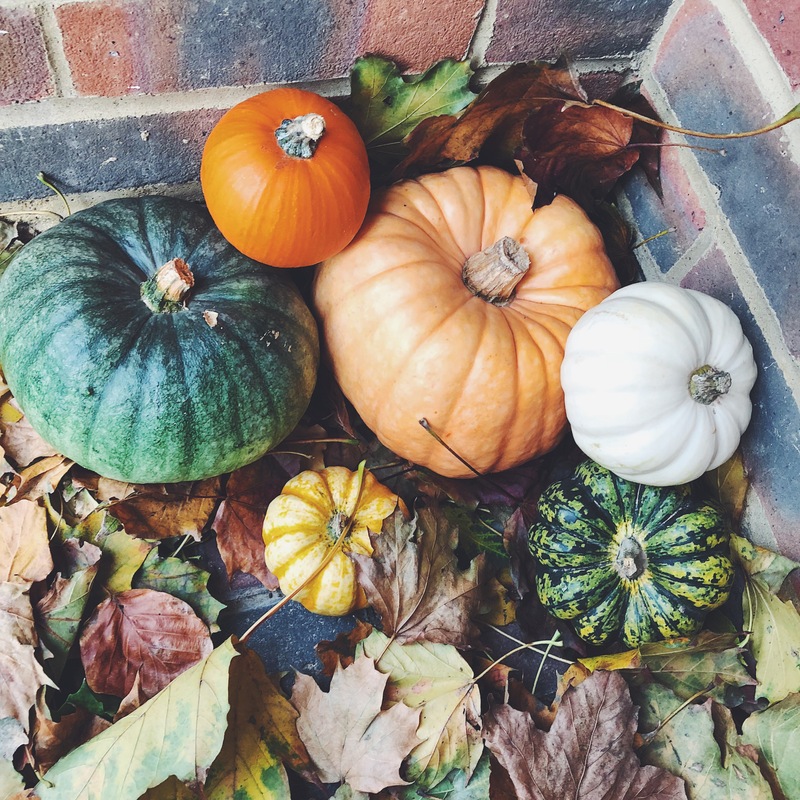 the month of crisp leaves, pumpkins, Halloween, and colder weather…not to mention many more monthly favourites of mine! This October also brought us the new iPhone 8 and I got my hands on it straight away. It’s pretty much an identical size to my old 6S but it looks much chicer. I got it in Gold but it definitely looks more rose gold to me, but not the pinky rose gold of the 6th generation of iPhones, if that makes any sense?! I love the driving mode that is on it as it eliminates any potential temptation to answer a call or reply to a text you’ve received when you’re driving (as they just don’t come through on drive mode until you’ve stopped driving). The camera is so much better than my 6S, too! Although I am gutted that I didn’t realise that portrait mode only comes on the ‘plus’ as I would have definitely got the bigger phone if it meant having that camera mode. It’s like having a professional camera, it’s insane! Next up, I’m going to talk about my new fave earrings. I got my ears pierced as a kid but haven’t worn earrings for years now! I had been getting hassled by my younger sister telling me how big earrings are for this season and that I needed to get some and so I finally did. 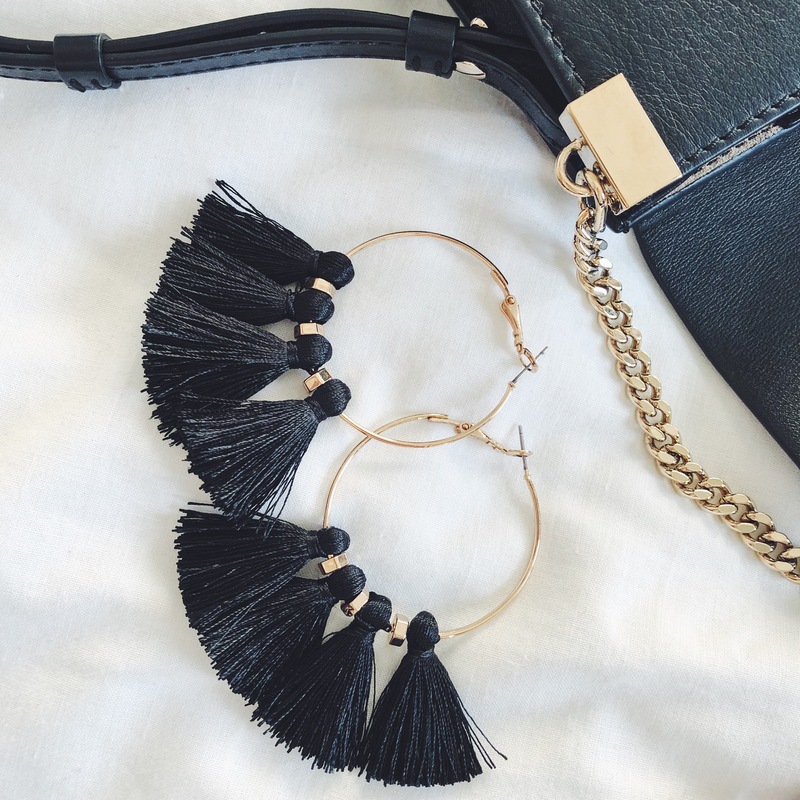 I have loved the tassel earring trend since the moment it was brought to my attention (thanking Chloe Simms from TOWIE for that)! So I picked up these little beauties in Newlook for only £5.99! I will admit as pretty as they are, I do feel a bit ‘Vicky Pollard’ when I wear them purely because I’m not used to wearing hoops, but this doesn’t stop me from wearing them! I love them and they bring the most simple of outfits to life. Being black and gold they also go with everything which is just fab! 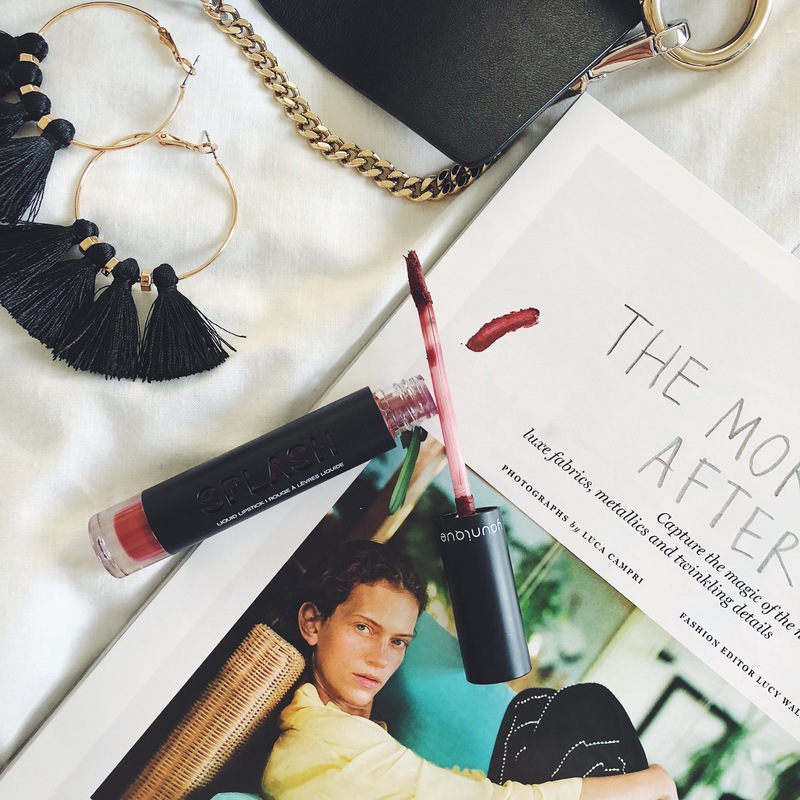 Next up, October has brought dark lipstick shades back into my life and its love! Recently I purchased a Splash Liquid Lipstick from Younique in the shade Stoic and ohhhh myyyy goshhhh. I have no words just allllll the heart eye emojis! It’s a really dark, reddy brown and it gives a matte finish; lasting for pretty much most of the day. It glides on like a dream, too. The wand is shaped differently on each side (one side is more concave and the other convex) and I find I use it one way for my top lip and the other way for the bottom – don’t ask me if that’s what’s it meant for – I just do it as it feels right! 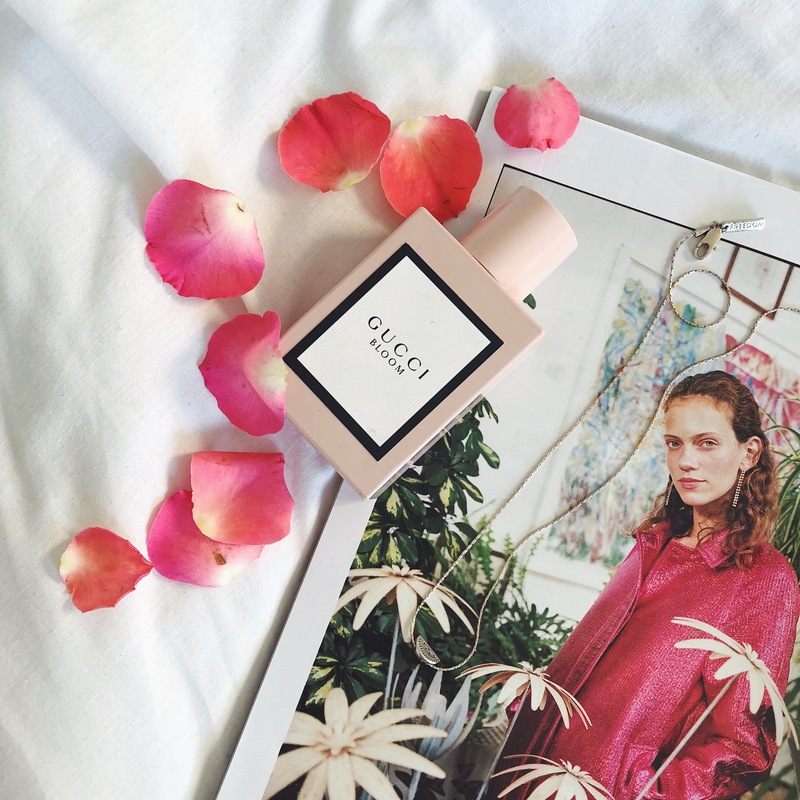 My most worn perfume throughout October had to be Gucci Bloom. It’s so floral and fresh and everyone comments on how lovely I smell when I wear it, so it very easily becane my day-to-day must wear! Let’s not forget to mention how gorgeous the bottle is too! I would usually go for something for musky for AW but I’m sticking with this beaut for now! Now we have darker evenings, I find myself lighting more and more candles and I jumped on the Aldi / Jo Malone dupe candle hype. 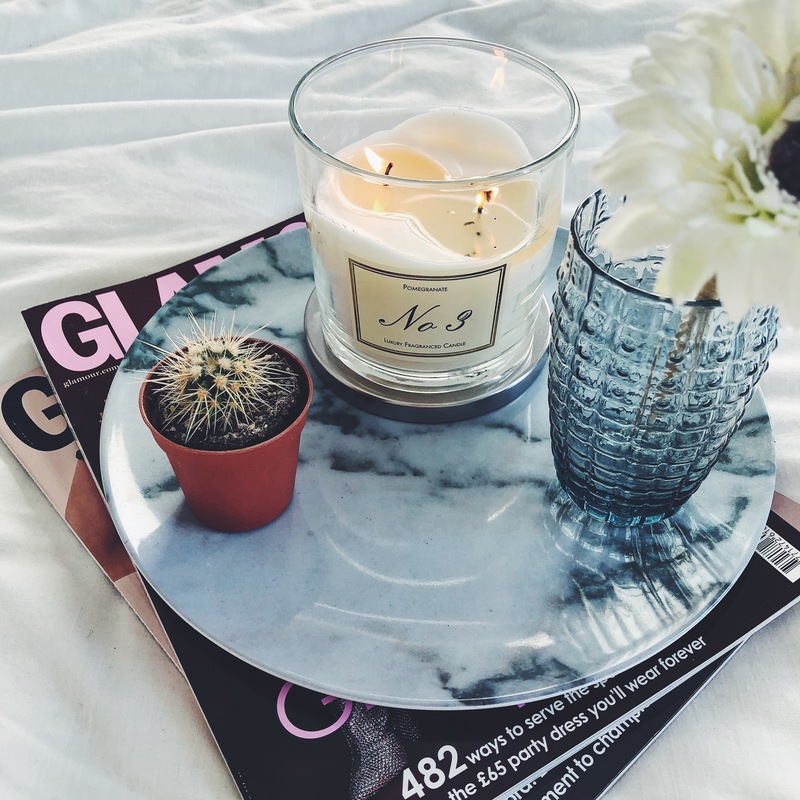 Not only does this Pomegranate one smell pretty similar to JM’s pomegranate noir, the candles look a lot more expensive than £3.99 and they are such a good size too (they’re 2 wick)! So this has been a big love of late! I will say though that it isn’t particularly strong smelling, but you can definitely smell it when you enter the room (and it’s on) which is good. October also saw me buy me beloved Adidas Superstar trainers again! But this time, with rose gold detailing instead of silver. I mean it just had to be done didn’t it?! I know they fit me perfectly, they’re super comfy and they look great, so why wouldn’t I get them again? 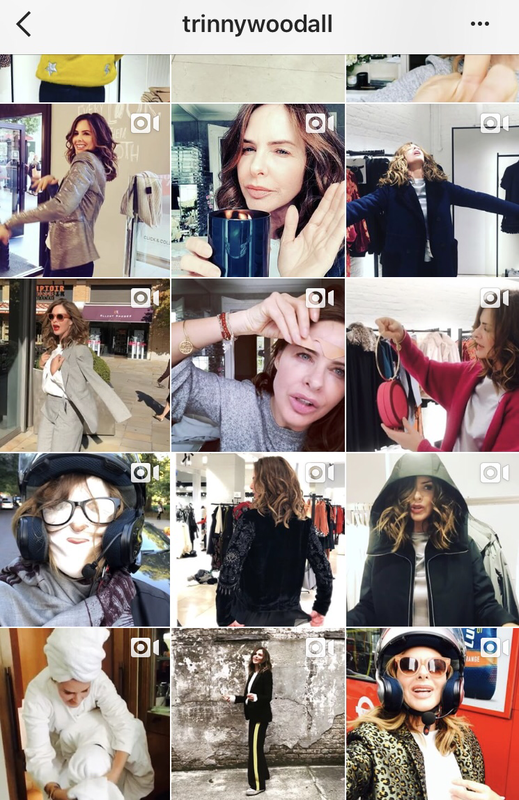 Ok so this favourite is really quite funny as it’s Trinny Woodall & her instagram! So I grew up watching What Not To Wear with Trinny and Susannah (my mum LOVED it), so Trinny isn’t a new figure in my life. BUT recently I have just fallen in love with her! It started when she was doing the fashion piece on This Morning and I was telling my mum how I loved her doing it and my mum was like ‘you should follow on her insta – she’s always going round Zara and picking out what she loves’ so I was on that straight away and gave her a follow. She is just fab! 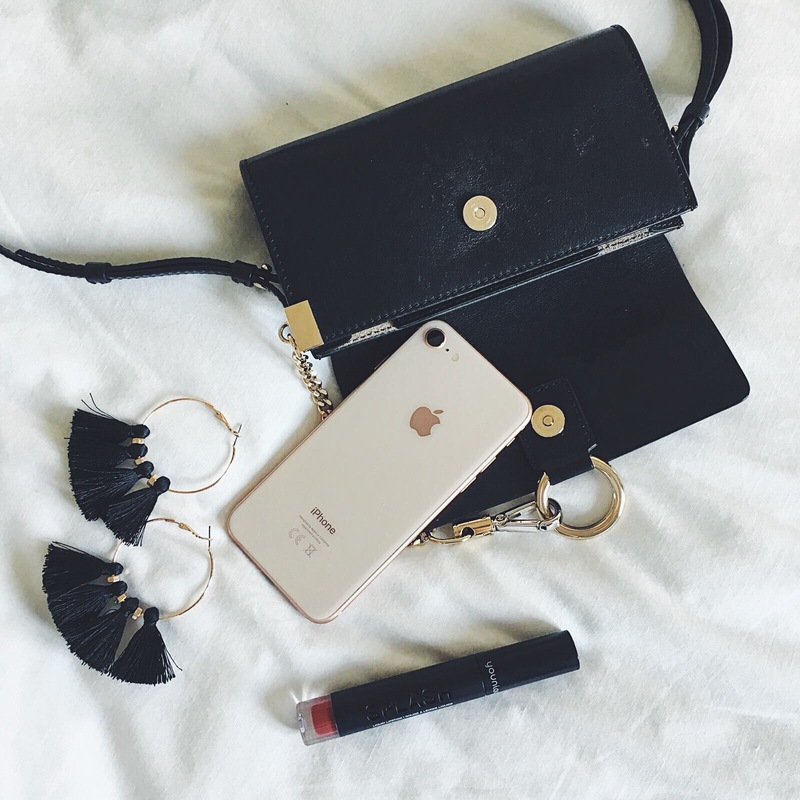 She literally does go into shops and videos what she loves and why and how to style it. Herself and one of her team members do twinning Fridays – to show you one look on two different people. She is obsessed with skin care and talks about that on her stories and to top it off, has created her own beauty brand; Trinny London, which looks fab! And you can see her doing Instagram lives riding on the back of a motorbike, hand delivering some products! She’s great! Now my most favourite thing of the whole of October, was looking after my two gorgeous nieces: Matilda and Winnie. My sister was a bridesmaid for a wedding in Vegas so I took annual leave and looked after the girls with my mum for 5 days. It wasn’t easy (I give credit to my sister for being a mum of 2 under 3!) 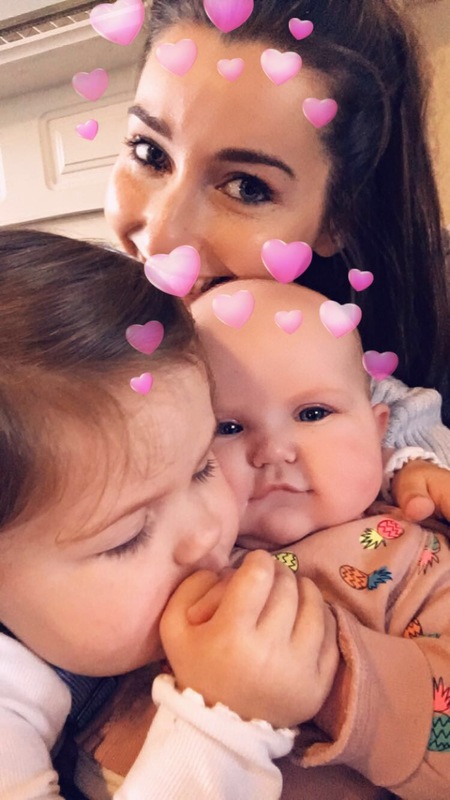 but it was an absolute dream to spend so much time with my princesses, as I live over an hour away from them and don’t get to see them as often as I would like. So that’s about it for my October faves! What were some of your October faves? I’d love to know, so don’t forget to drop me a comment in the box below!